Steel fabrication firm R.S. Phillips understands that behind every great structure, is a strong foundation. The same can be said with websites. When Digital Strategy Associates was hired to transition the firms existing HTML website into WordPress, we developed a website which not only looks greats, but is also powered by an industry leading Content Management System. The website highlights the firm’s diverse project portfolio and product catalogue through richly used photos and videos. Contact forms are strategically placed throughout the website to engage prospective clients. 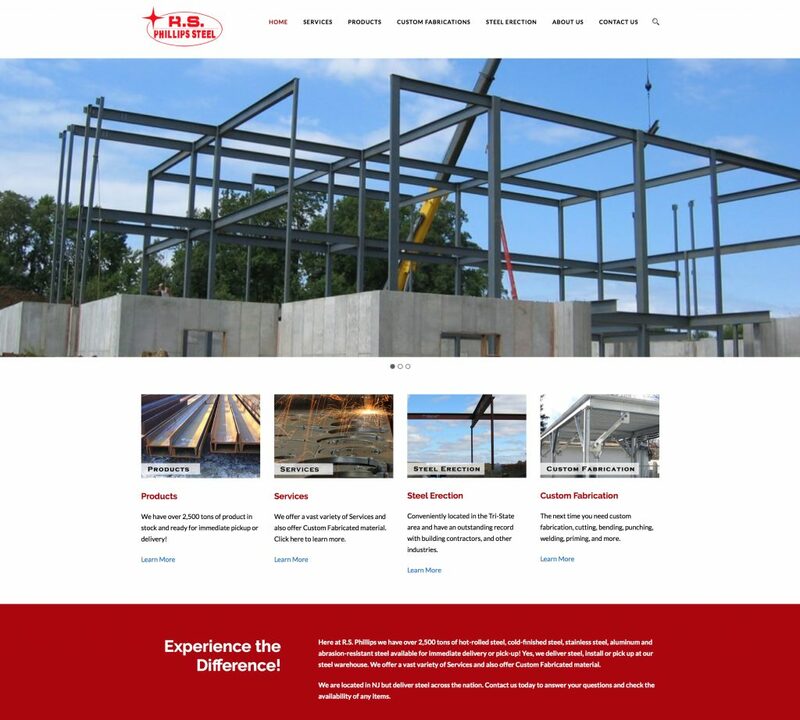 Digital Strategy Associates collaborated with the firms existing marketing consultant to identify, develop, and implement a website design strategy that addresses their existing needs and future goals. The newly designed, responsive website, looks great across all devices and computers, including tablets and smartphones. With an easy to use content management system, staff can post news and announcements. Implemented the WordPress Content Management System to provide robust, flexible, and user friendly management capabilities. Transitioned existing client content into the WordPress MySQL database. Provided on-boarding and training services as needed.